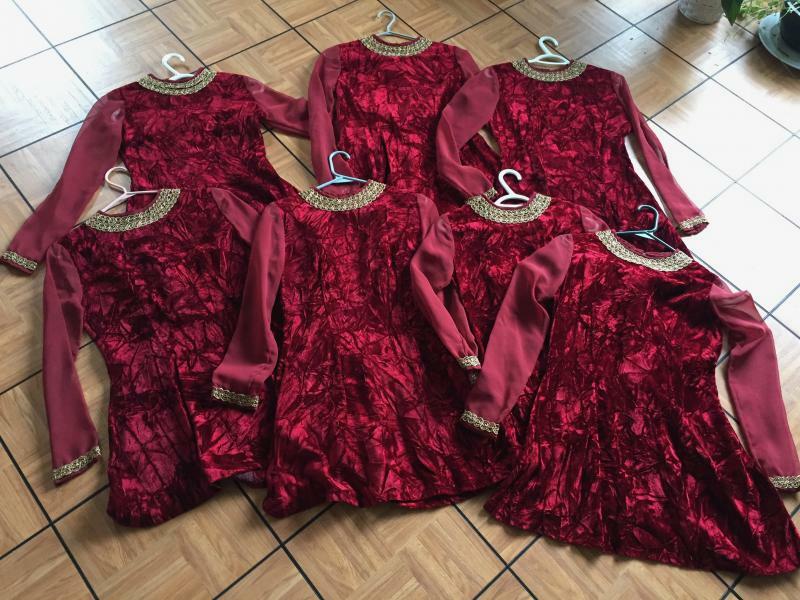 dance.net - Choreography Dresses for Sale (10245631) - Read article: Ballet, Jazz, Modern, Hip Hop, Tap, Irish, Disco, Twirling, Cheer: Photos, Chat, Games, Jobs, Events! These seven dresses are available as part of a studio clean up. Suitable for youth to young teen. 1. 15", 23 1/2", 17"
2. 16", 23 1/2", 15 1/2"
5. 14" 22 1/2", 14 1/2"
6. 15 1/2" 24 1/2", 17 1/2"
Not selling separately, shipping to be paid by buyer. Okay, thanks. I will let the teacher know and get back to you soon. As we are wanting to clear items from the studio, we are cutting the price in half and asking $70 plus shipping. I will take them if sale doesn't work out.